Mother of 4, Wellness educator, Bodytalk Practitioner and Mindfulness coach. 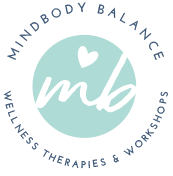 I’m also the owner of MindBody Balance Therapies, a complimentary wellness practice. What I really want you to know about me is that I’m probably not a whole lot different than you! I could definitely use more sleep, mornings in my house are like trying to herd baby rhinos & I may have a slight coffee addiction (adulting in the early morning without a cup of liquid energy is next to impossible, right?!) If this sounds familiar, you’re in the right place. If you are looking for a new perspective on the relationships in your life (including the one with yourself) and you’re ready to tackle some serious subconscious limiting belief systems that are keeping you stuck in a rut, anchored to patterns of stress and anxiety, this is a great place to start. Welcome! Visit the calendar to see upcoming mindfulness workshops & events and have a peek at the Therapies offered to help you keep the elusive ‘balance’ we all strive to find! Not sure what benefit the therapies would be for you? Check out the testimonial page and see the potential for real, positive shifts in your physical, mental & emotional wellness. The Journal section is my personal blog, inspired by my very own journey to mindfulness, and inspiration I’ve taken from the beautiful people I’m blessed to have in my life. It’s in the journal that I will talk about real, raw stuff that’s meant to encourage you to change your lens on life. If you’re an essential oil lover, perfect..So am I! As an aromatherapist, I created my very own aromatherapy line with safe, effective wellness solutions for all ages, from babies to grandmas and everything in between. Tour my Shop to see if there’s something for you & your family to get oily with! Life is too short to not find joy in each day! Mindfulness brings an awareness to the small moments in our lives that fill our days with gratitude and abundance. Join the 7 day JOY CHALLENGE for a jump start on your path to living intentionally and joyfully! JOIN THE 7-DAY JOY CHALLENGE! Sign up to receive the 7 Day Joy Challenge right to your inbox! Thanks for signing up to the 7 Day Joy Challenge. You’ll receive your first email soon! Looking for a little slice of peace & quiet in your day? incorporating into your daily routine today!